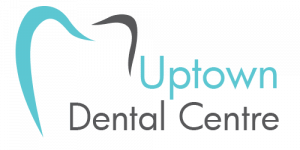 Learn More About Uptown Dental Clinic. We are conveniently located Downtown Edmonton and always accepting new patients! We Offer A Full Range of Dental Services. Contact Us Today To Book Your Appointment! Adental bridge is a common treatment for missing teeth that fills the gaps left in the mouth when teeth are lost. Bridges typically comprise one or more pontics, or artificial teeth, which can be held in place by dental implants or crowns (called abutments). The pontics used in bridges are most commonly made from porcelain for aesthetic considerations; however a variety of materials, including silver amalgam or gold, can also be used. To place a bridge, your dentist will first secure crowns to the teeth on either side of a gap before anchoring the pontic or pontics (the bridge) to fill the space. 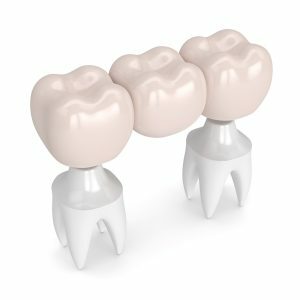 When using dental implants to anchor a bridge, the implants would first need to be completed and then a bridge installed. Dental implants mimic the entire structure of missing teeth, including the roots, making them a strong and stable method of securing bridges. Bridges have significant aesthetic and practical benefits for patients with more than one missing tooth. Having a bridge placed in those gaps can restore dental functionality and with today’s modern materials, bridges are virtually indistinguishable from natural teeth. All dental services provided by a general dentist. 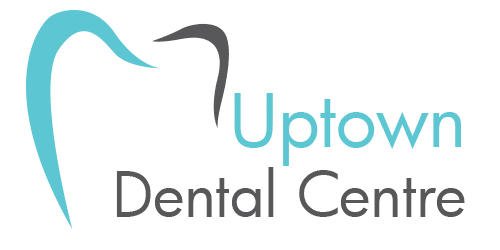 Book Your Next Appointment With Uptown Dental Centre! If You Are Experiencing a Dental Emergency, Contact Uptown Dental Centre in Downtown Edmonton. Regular Dental Check-Ups and Teeth Cleanings Are An Important Factor In Maintaining Good Oral Health. With In-Office and Take-Home Teeth Whitening Options Available, We Are Able To Provide You With a Whiter and Brighter Smile! Welcome to Uptown Dental Centre, located in downtown Edmonton. We provide quality oral health care that’s personalized to your needs, in a professional, friendly and relaxed atmosphere. Contact Us Today! What Are The Effects of Periodontal Disease?